This Super Bowl, Sunday, Feb 4th Pringles brand is debuting its first-ever television advertisement during the big game. Pringles®, known for its bold flavors, playful nature and endless stacking possibilities, will be showcasing "Flavor Stacking." Bill Hader stars in the ad, bringing the laughs and showing fans that eye-opening moment when you discover the phenomenon that is "Flavor Stacking." "Fans are already familiar with Pringles' wide variety of flavors, but we want to show them how stacking their favorite flavors can 'wow' their taste buds in a whole new way," said Yuvraj Arora, senior vice president of marketing for Kellogg's U.S. Snacks division. "Since most people's reaction to flavor stacking is 'wow,' we brought on the one person who could bring endless faces and reactions to that one word. 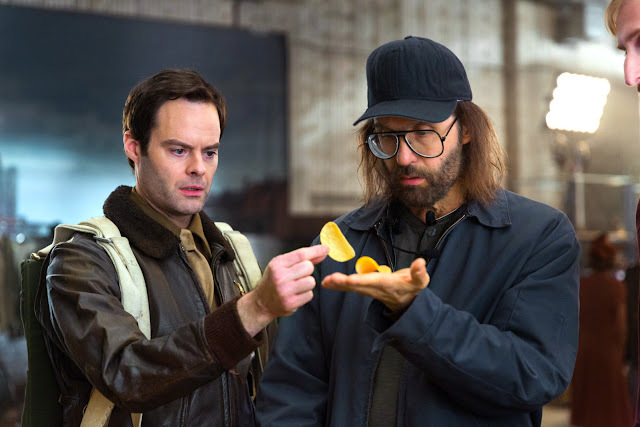 Plus, Pringles is known for steering clear of conformity and being a playful instigator, two attributes embodied perfectly by Bill Hader." Grey NY, Pringles' Advertising Agency of Record, came up with the idea of flavor stacking when sitting around the office eating Pringles potato crisps. When it dawned on them that you could create new flavors by stacking them, they took this seemingly small discovery and made it a big moment. The team brought in Bill Hader and Documentary Now! Director Rhys Thomas to star in and direct the ad. Thomas and Hader first met when Rhys was directing and producing shorts for SNL. They have a history of working together to create some of the best laughs on TV. This successful working relationship has created a witty and comical ad focusing on "Flavor Stacking". "I'm excited to be working with Pringles. I had no idea you could stack them until this experience," said Bill Hader. For more information, you can follow @Pringles on Twitter, YouTube and Instagram and check out Facebook.com/Pringles. People can also search social media platforms with the hashtag #PringlesStack or take a look at this year's Super Bowl YouTube AdBlitz page.